THE HSE HAS denied reports that legal action called off in the Miss Y case was to forcibly hydrate the woman. The Sunday Independent reported that high-ranking officials from the Department of Health intervened in the case once it was discovered this court order was sought. The Department told the paper it was “very concerned” at the approach being taken by the HSE, and that following discussions between officials at the two organisations, the planned approach was dropped. However, a statement issued this morning by the HSE said the legal action was not related to a court order about hydration, but instead related to whether those involved required the formal consent of a court to carry out the termination of a pregnancy by way of early delivery. This was called off once it was ascertained that a termination of pregnancy under the Protection of Life in Pregnancy Act was being certified by the relevant clinicians. The HSE stressed that those involved had a duty to ensure that they were “acting lawfully”, as the case involved new legislation. The Department of Health had been central to drafting the legislation and as such was well acquainted with the theory of how it might operate and naturally had a keen interest in the matter.Those actually involved in the care of Miss Y at that point, and therefore responsible for the operation of the legislation, had to make decisions in real time in what was very complex circumstances. 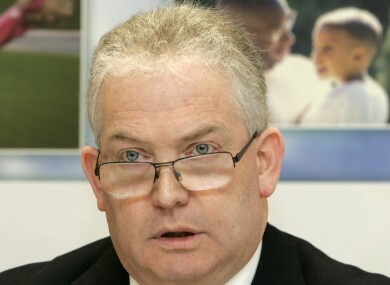 HSE Director General Tony O’Brien has retained senior counsel to review the approach taken. Email “HSE denies legal action taken to forcibly hydrate Miss Y, but is still reviewing what happened”. Feedback on “HSE denies legal action taken to forcibly hydrate Miss Y, but is still reviewing what happened”.